Mopar has just introduced a brand new 800 horsepower V10 crate engine specifically designed for competition duty on the quarter mile. The aluminum 512 cubic inch engine is hand assembled with 12.5:1 compression and 695 foot pounds of torque. Future versions will be available for both off road and road racing applications. If you have a Gen III Viper and want more power but something you can use on the street, there's also a bolt on upgrade kit good for 650 horsepower. The Hemi crowd hasn't been forgotten with a new 590 horsepower aluminum 426 crate engine plus Ready to Run kits for easy setup. There's a lot more focus on drag racing with Pro Stock cylinder heads and a new Challenger body in white that cannot be used for the street but makes a perfect platform to build a Mopar racer. Auburn Hills, Mich. - A new 512 CID, V-10 engine with more than 800 horsepower and a new 426 Gen III High Output HEMI® crate engine will highlight the Mopar® display at the Specialty Equipment Market Association (SEMA) show, Nov. 1 – 4 in Las Vegas. Along with the new, more powerful engines, will be a full range of performance, restoration and off-road parts available from Mopar, Chrysler Group’s service, parts and customer-care brand. Included are kits to extract more power from Gen III Dodge Vipers and a new Gen III High Output HEMI V-8; new Pro Stock cylinder heads and Mopar Gen III HEMI front drive kits. “SEMA is the perfect platform to introduce some of Mopar’s newest high performance and restoration parts and products,” said Pietro Gorlier, President and CEO of Mopar. “If you’re looking for horsepower that can be dropped in or bolted on, the Mopar exhibit area has a full range of small- and big-block products for the enthusiast. Leading the way is an 800 horsepower V-10 Competition Series engine, part number P5155872 that is designed specifically for drag racing. Hand assembled to exacting standards by race engine builders, the Competition Series V-10 features an aluminum block with aluminum cylinder heads. Designed for the rigors of drag racing and pulling 695 lb. ft. of torque with an operating range of up to 7,000 rpm, these race-calibrated engines include a forged steel crankshaft with forged steel connecting rods and forged aluminum pistons with a compression ratio of 12.5:1. All rotating components have been balanced for maximum performance at the track. The Competition Series engine includes a JTEC controller with race calibration and engine harness. Designed specifically for drag racing, future applications include an off-road and road-race version. Enthusiasts looking to extract up to 150 more horsepower from their Gen III Dodge Viper can now bolt on a Performance Upgrade Kit, part number P5156137, to their stock V-10 engine. Each kit includes a pair of aluminum cylinder heads (machined to fit the Gen III block), a custom upper intake manifold with a larger throttle body, fuel rails and injectors. The stock engine controller will have to be re-flashed. With the Performance Upgrade Kit, owners will see up to 650 horsepower from their existing engine while still maintaining excellent low-end drivability. Mopar also is featuring a more powerful, new crate version of the Gen III 426 HEMI V-8. The Gen III High Output HEMI engine, with 590 horsepower on tap out of the box, is now available under part number P5156139. Starting with a lightweight aluminum block that shaves more than 100 lbs. from the cast iron version, the Gen III High Output HEMI is professionally built and includes a stout, balanced lower reciprocating assembly that features a forged steel crankshaft with six bolt mains at 2, 3 and 4, and cross-bolted 4-bolt mains at 1 and 5. H-beam style rods are forged steel and coupled to forged 11:1 compression ratio aluminum pistons. Included is a revised windage tray to provide excellent oil dispersion and prevent oil aeration by the crankshaft. The valvetrain starts with a more aggressive roller camshaft with .639 intake and .628 exhaust lift and cylinder heads that feature the latest designs for exceptional flow characteristics. To help stabilize the valvetrain at high engine rpm, tie bars are available. Cast aluminum valve covers and billet fuel rails also are part of the Gen III High Output engine. Designed to run on premium pump gas with a minimum octane rating of 93, the newest HEMI V8 is ideal for off road competition or the latest restoration or resto – mod project. Mopar also is offering two 426 Ready-to-Run engine control/base calibration kits, one for the High Output engine and one for the existing 426 crate engine. Kits include a throttle body, engine harness and engine controller with base cal. These kits greatly reduce guess work and gets projects up and rolling. Depending on transmission type, axle ratio, and tire size, some final tuning may be required. Debuting for Pro Stock competition in the National Hot Rod Association (NHRA), is a new symmetrical port design cylinder head. The bare aluminum cylinder head is available under part number P5155906. For teams running Dodge Avengers for 2012 in NHRA, either the current asymmetrical cylinder head or the new symmetrical will be permitted. A distributor front drive kit for GEN III HEMI engines is now available. 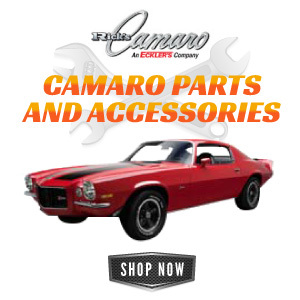 The drive kit is for enthusiasts who prefer to run a distributor-type ignition system and includes a machined front cover, camshaft timing gear, fuel pump push rod and bolt kit. Kits for 2009 and later 5.7-liter and all 6.4 engines are available under part number P5155929. For pre-2009 5.7-liter and all 6.1-liter engines, part number P5155930 is available. New Dodge Challenger body shells that provide an excellent starting point for a race car now are available in limited quantities from Mopar. Bodies are complete with doors, decklid and hood. These shells eliminate the bodywork or welding that’s normally required with a project car that may be damaged or a salvage car. Bodies are designed for competition use only, have no vehicle identification numbers and cannot be used for a street application. Fascias and other trim items will be available as a “builder’s kit." It is great to see the OEMs offering all these aftermarket engine packages for sale. Especially in this age of tightening emmissions regulations. Hopefully the cost will be something that I can afford when the time comes…….